Effective implementation and disciplined oversight are essential to turn strategic IT plans into reality. Most technology projects fail because of poor end-to-end project management. Project managers provided by vendors logically look after their own company’s interests first. Objective project management comes from experienced project managers within your organization, or independent consultants not affiliated with a particular vendor. Sciens provides responsive and agile project management, and meticulous vendor oversight. We represent your interests by ensuring the quality and integrity of the vendor deliverables meet your needs within acceptable timeframes and budgets. From the initial analysis to the final training session, Sciens manages the details of every project with objectivity and careful consideration of client goals. 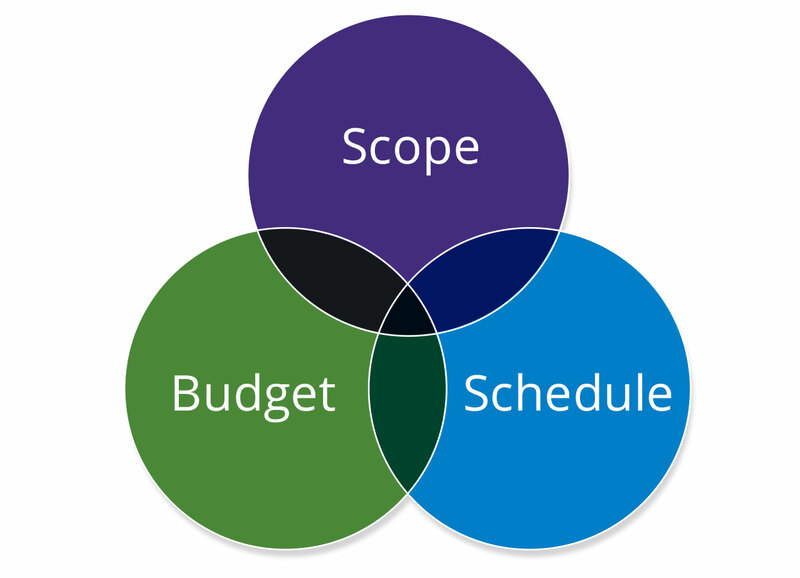 Knowing what technologies and services your organization needs, and clearly communicating your expectations for budgets and timelines are the basis for all IT projects. It is important to involve the right people not only throughout the planning process, but also during the implementation phase. Each user offers a unique perspective on how the technologies are used to get their jobs done. The implementation phase of any IT project requires orderly monitoring of activities, clear communication, and methodical tracking of milestones. With complex technology deployments, vigilance ensure the expected outcome is achieved without budgetary surprises. It’s more than simply getting a system upgrade done. If systems are installed haphazardly, the result could be worse than the initial problems that prompted the upgrade. The expertise that Sciens brings to each IT implementation ensures that the project is executed precisely to client specifications. Support through challenging transitions, including changeover of IT management, is essential to ensure continuity of the vision. Sciens consultants can fill the gap, as well as assist with the recruitment of a qualified candidate to fill the role permanently. Assessing the problem and creating an IT improvement plan are not the only steps needed to achieve transformation. Change management is a key consideration when restructuring an organization, rolling out new business processes, acquiring systems, or upgrading technology infrastructures. Good communication and extensive staff retraining may be required to improve efficiencies throughout an organization. Users are more likely to adopt new technologies when they understand the benefits of the new system, and were involved in the process of assessment, plan development, and vendor selection. Sciens is experienced at supporting communication and training strategies to prepare internal audiences for changes in the ways that they do their jobs. Part of transforming an organization may include shifting roles within the IT department. Whether the staff needs training on new systems, or they are moving into a completely new role, technology upgrades often warrant finetuning of roles within the IT department. Maintaining consistency and momentum during these times of change and instability is essential for a successful migration to the new processes and systems. Sciens can provide support through challenging transitions, including changeover of IT management personnel, to ensure continuity of the vision. Our consultants can fill the gap and serve as interim CIO or IT Director, while the human resources department searches for a qualified candidate to fill the role permanently. Finding replacements for key leadership roles in the IT department requires the insight of technologists who understand the skills required to perform the jobs. Our clients often rely on Sciens to expedite the search process and participate in the candidate selection process to ensure competent and qualified candidates are selected. The right staff with the right skills guarantees the new technologies are maintained for optimum performance, which maximizes the value of the investment and benefits the entire organization.